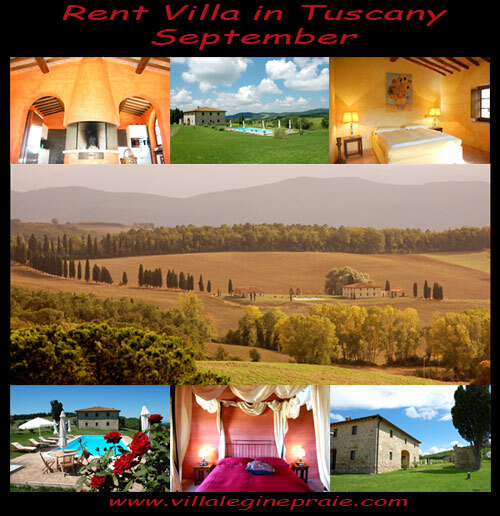 Rent Villa in Tuscany in September. Among the typical hills between San Gimignano and Volterra rises this ancient farmhouse set in a reserve with a panoramic 360 degrees. 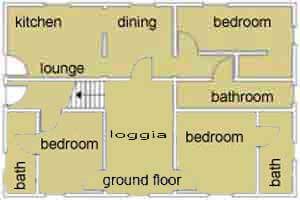 The Villa of 400 square meters on 2 floors has 5 bedrooms with bathrooms, 3 kitchens and 3 living rooms, a large loggia and a terrace with a fireplace, can accommodate 10 to 12 people. Rent villas or farmhouses in the month of September you can also get discounts and lower temperatures allow the city to visit the many art not far from our house, such as San Gimignano, Volterra, the Chianti area, Siena, Florence …. To make your holidays memorable in Tuscany in September and offer several different activities: you can take cooking classes, yoga classes, massage room or poolside, you can hire a quad bike or take a balloon ride, you ride a horse or rent a minibus with a guide and explore the area of ​​Chianti with wine tasting in the cellars ….